Just because they’re not open during the winter months doesn’t mean you can’t get a little winter time-travelling done, thanks to a recent digitisation project undertaken by the Pemberton & District Museum. Heritage Canada’s Museum Assistance Program provided funding for the museum to assess, move, photograph and audit close to 500 items from the Equipment Collection, a project completed this month. As part of that audit, the Museum was able to create an online database of artifacts from the collection. Available on their skookum new mobile-optimised website, (developed by Custom Fit Communications, profiled earlier on Choose Pemberton), the old equipment used by Valley pioneers is an eye-opener for those of us more used to a Story of Disposable Stuff mentality. We asked George and Niki how to tell the difference between an artifact and junk. Their answers turn history from something that’s good for you, to something straight-up good. Fun and fascinating. Check it out and let us know if you agree. How long has the Pemberton and District Museum been in existence? The museum opened to the public in 1982, although members had been working on the project for several years to get to that point. The Village of Pemberton and the SLRD have been long term supporters and the Village has provided the lands for the museum operation since 1982. We have also received support from Heritage Canada from the beginning through programs like Young Canada Works, Building Communities Through Arts & Heritage – Anniversary Funding, Cultural Spaces Canada and most recently the Museum Assistance Program. And how many years of history does it document? There are several exhibits of the original Lil’wat people but the emphasis is on settlement from 1858, the years of the gold rush and founding of BC as a colony. It was the supply of the travellers which started the agriculture in the area. What is the oldest artifact? Our oldest artifacts are a few stone tools of Lil’wat origin that were donated by locals who unearthed them in various local fields. We have several artifacts from the gold rush including the drive shaft from the ‘Prince of Wales’ steamer that plied the waters of Lillooet Lake. We have blacksmith tools, mule shoes, wagon wheel rims, cookwear; and we even have a bullet mould. Many of the artifacts that were found at the Port Pemberton site are on display in the Shantz house. The oldest pioneer artifact we have online is part of a group in accession # 994.14.01. These items were found on the site of the old halfway house and are estimated to be from the 1860’s. The items were recovered about two months after it was burned by a Railway crew on April 26, 1963. These fragments Ray Pierre, Leonard Andrew, and the Fougbergs picked up enroute to Blackwater Lake on June 23,1963. You can see an image of the knife on our website in the object collection. It was donated by Ray Pierre in 1994. Are there artifacts older than the oldest building? Our oldest building is from the late 1800’s. Many artifacts are from the gold seekers who passed through the Douglas Trail to the interior in the late 1850’s. Other remnants are from the early farmers who stayed behind. What would you say is the Museum’s best “claim to fame”? Most of the items are from the area -over 90% – so they truly represent early life here in the valley. The pioneer flavour of the site is unique. We have hosted club luncheons, reunions, weddings, photo shoots, quilt shows, teas, classes, special exhibits….The Soo building is available as a venue for functions. You blog. You post videos from tea and tales to youtube. You digitise records. How important is it for the Museum to have a digital presence? The museum’s digital presence ensures we can connect with local visitors and the curious from afar on a year round basis. In 2012 our website saw over 70,000 visits and 219,000 pages were viewed. We post videos on You Tube and over 10,000 minutes of video has been watched. The recent Museum Assistance Funding we received in 2013 enabled us to update our website as part of an overall collection management upgrade project. We targeted the moving of the equipment collection as an opportunity to confirm and correct our records and to provide a digital copy of our artifact record online. The project also ensured each object was examined as part of a Condition Reporting process and minor treatments were applied as required to ensure long term preservation of the equipment collection. Overall we improved our Collection Management practices, updated our policies and procedures, greatly improved storage conditions and ensured access to the information behind our collection. As an added bonus, the design of one database ensured the easy addition of photo and archive databases to the website. We will be adding content to these areas on the website through the upcoming year. The website upgrade and improved public access to our collection is the most visible legacy of the MAP funding. Where, outside the Museum grounds, (and outside of winter, when the Museum is closed), can someone experience Pemberton history? There is the historic climb which gives an historic overview of the area. Several buildings exist with historic value in the Village. There are a few isolated examples of early barns and farm houses. Pick up (or download) a copy of the Visitor Guide to Pemberton for the Heritage Walk. What would be the top 3 reasons for people in Pemberton to care about the history of this place? 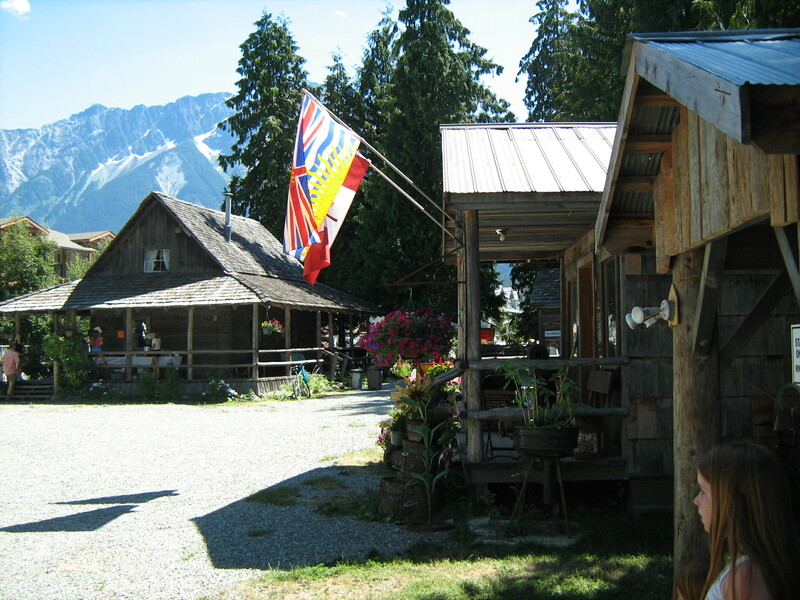 Pemberton’s early beginnings date back to the founding of our province. It was the first route to the interior. Because the valley was isolated for so long, it is a bit like a time capsule. There are still descendants of the original settlers living here. Place names of roads, mountains, lakes and other geographical features are linked to the early pioneers. What is the weirdest thing you have in the Museum collection? Frank Tierney’s Hand. This was the museum’s first accessioned artifact. The Description reads: Frank Tierney’s artificial hand (in two parts in 1989). The metal mechanical hand is corroded from years of exposure to weather. Since the museum acquired it, the device has separated into 2 parts. Frank Tierney lost his own hand in the Spanish Civil War, where he fought with the MacKenzie-Papineau volunteers from Canada. Frank Tierney, during the Spanish Civil War, where he fought with the Mackenzie-Papineau Brigade as a sniper. This photo was shared by Frank’s nephew in the UK, Paul Tierney, after reading this post. The artificial hand lay for many years in a field on the former Landsborough farm until Barbara Andrew found it in 1982. Doubtless Tierney lost it during an earlier harvest; for a time he lived with James Landsborough, or, if not with Landsborough, in the Upper Valley where neighbours then and now help one another with the harvest. Frank Tierney and his sister Jane (Jean) Tierney in Pemberton in the early 1960s. Photo courtesy Kevin Collister, Frank’s nephew. What is the most popular, or commented on, artifact/building? The Shantz House is the most popular display. It is a complete house as lived in by early Pembertonians from the turn of the century to the arrival of power in the 1950’s. Why is the Equipment Collection important? Almost all of our pieces of equipment were actually used here by early residents to eke out an existence. This is attributable to the isolation (until 1965) when things could be brought in but it was a chore to take them out. What have been any exciting discoveries, auditing the entire Equipment Collection? We have learned much about manufacturing and hand-forging techniques, the evolution of farm equipment and the ingenuity of early pioneers. 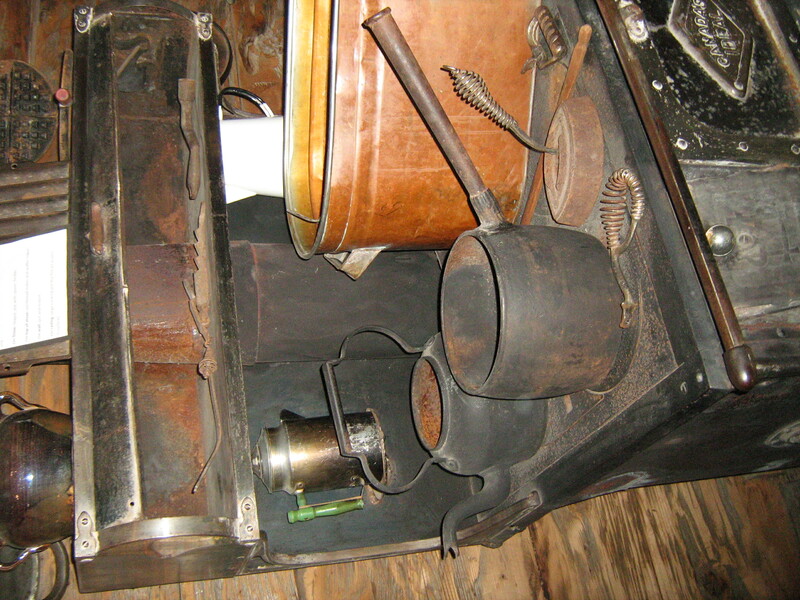 We discovered many jimmy-rigged items and homemade items and it is easy to see that equipment in early Pemberton was dearly loved and was kept in working condition for a long life span. 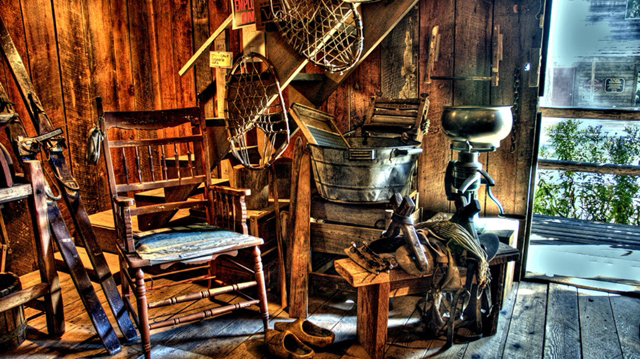 What’s the difference between a Pemberton museum artifact and old junk? An artifact has a traceable history and can be tied to someone local. Junk would be something with no links to the past that we can discern. Each object tells a story about a resident of Pemberton. We collect artifacts according to our mandate which helps us define and develop our collection. You can read about our mandate under “About Us” on the website. What is the breakdown between locals and tourists, in visits? Most museum users are local (60%). Visitors make up the remainder. What happened to the Gift Store? The gift shop opened to supplement museum earnings by featuring locally produced items. It became a money loser when analysis showed we were spending three times more than we were earning. 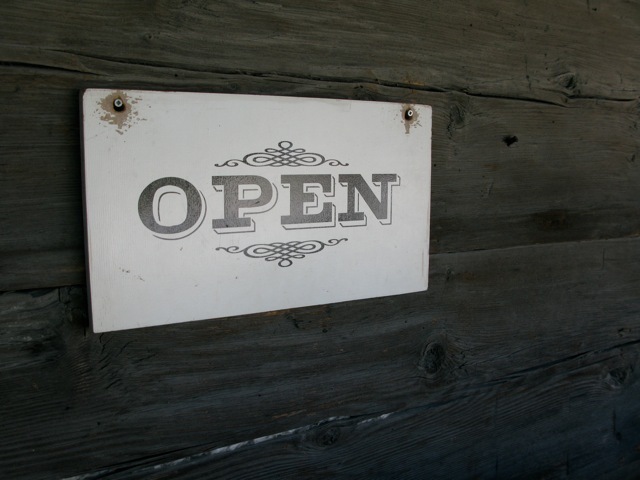 The early days the shop was staffed by volunteers at no cost. This changed when we had a requisition to pay wages. Our downtown location is unique and its central location enables it to be part of the fabric of Village life. What are the 3 biggest/most exciting initiatives the Museum undertook in 2013? We completed a 10 year project and finally opened the doors and moved into our new building. We were able to reach an agreement with School District 48 to retrieve the Pemberton Station School house, and an original log cabin and relocate to the museum site as additional exhibit buildings. We completed our first MAP project significantly improving the machine shed collection in terms of its storage and our knowledge about this collection. Staff got an opportunity to improve collection management practices. Now that the MAP project is wrapped up, what’s next for the Board and staff, as a focus? The Board plans to complete the grounds and fencing. We will continue cataloguing and preparing new exhibits. How can people stay in the loop or show their support for the Museum? Locals could become active members and get involved in our activities. They should make regular visits to our website to become aware of what’s going on and plan to support our events. 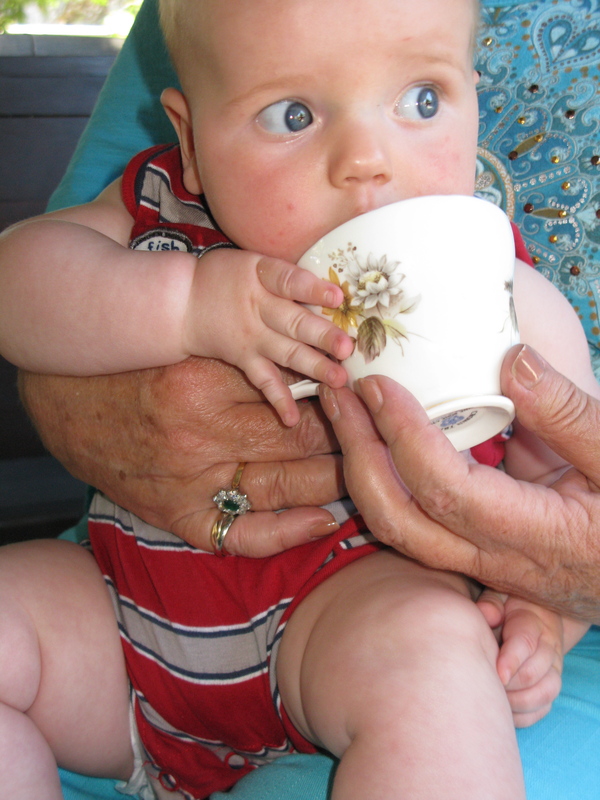 Summer’s tea and tales – good for young and old. Plus, you get to drink tea out of real “heritage” teacups. If people don’t really know about the Museum, haven’t visited it, etc, what’s the single best way to get a feel for the flavour of the place? Probably visit the website. Next best would be a visit and guided tour on site or through the downtown area. The Museum offers this service in July and August for groups or individuals. It’s best to contact us in advance if you want to arrange a tour for a group. Attending a museum event also works as one gets to see the village concept in action. With reference to Frank Tierney’s hand in the article above, I am related to him, he was my great uncle. My grandfather John Tierney is Frank’s brother, and he is 89 and lives in Birmingham, England. We know that Frank lost his hand in the Spanish civil war and continued to farm back in Canada with an artificial hand. 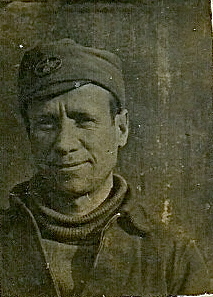 Is it possible to get a picture to show my grandfather. Amazing to hear from you Francis, thanks for reaching out. And best wishes to your grandfather. We’ll connect with the Museum and see if they can send you a photo! Hi Lisa, my names is Kevin and I live in Australia. My mother Jane (Jean) Tierney, is Franks brother. 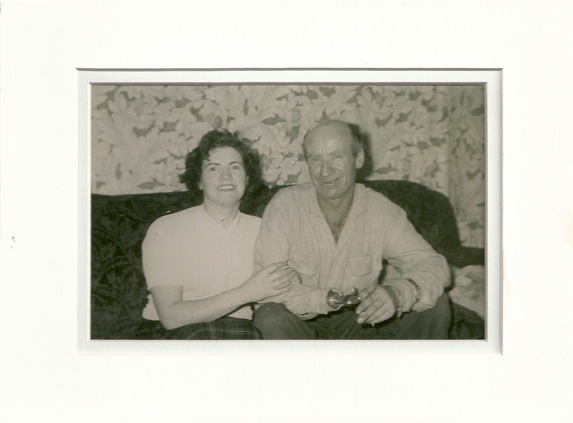 I have a picture of mum and Frank together in Pemberton in early 1960, which shows Uncle Franks metal hand. Where would you like me to email it too? I hope to visit the museum later this year. Keep up the great work. Kev, from down under. Kevin, is there some kind of family reunion taking place through this blog post? It’s awesome to see all these connections. We’d love to share the image you speak of in a follow-up post. And I’m sure the Museum would love to have it too. Would you please forward it to info@pembertonmuseum.org and pembygrl@gmail.com, and we’ll incorporate it into the post? HI Francis – I don’t have a picture of Frank in archives but we would love to get one if there is a family photo existing. We would be happy to mail John a copy of the Pemberton History Book as Frank is mentioned there. Please contact me at the museum if you would like more information. info@pembertonmuseum.org. hi my name is frances (girl) named after my uncle Frank Tierney I have many photos of my uncle before and after he lost his arm , his younger sister Jane is so excited by this news that he is not forgotten as his name or history must be still alive in Pemberton, any further info would be so greatly apprieciated both by my uncle Sean(john) and my mum and other living sister Sadie,just being remembered is a beautiful reminder that we all do leave footprints .. It is so wonderful to read these responses. I am also related to Frank Tierney. I hope to visit the museum this summer (from Seattle, Washington), with my brother. So glad you found the post, Dan. The Museum is pretty unique – maybe your family should have some kind of global reunion in Pemberton! Let us help you untangle the mystery of managing difficult behaviour. Please consider the environment before you print this e-mail. This email is intended for the addressee only and may contain confidential or privileged information. If you are not the intended recipient of this email, please notify us and delete the email. Thank you for your assistance.